I got the chance to check out Nicky Rockets Tshirt line and was honored to get a T shirt from him! 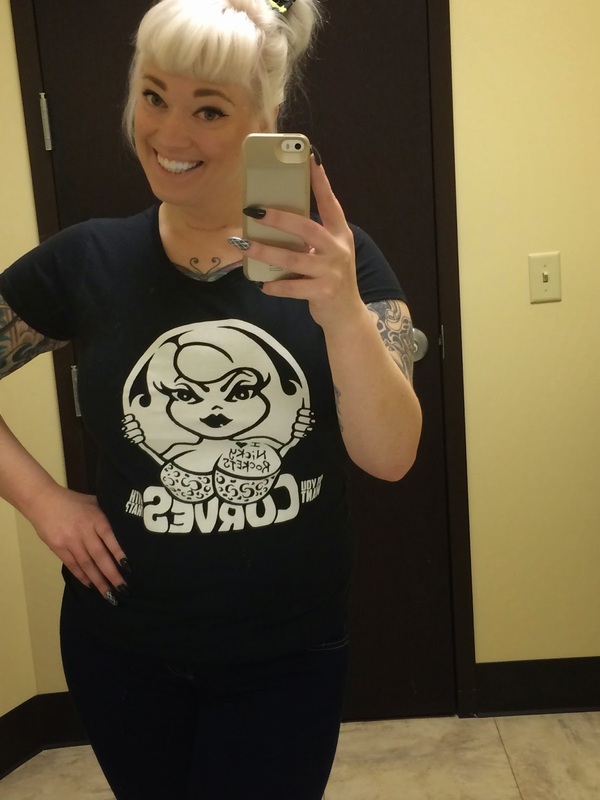 I must say, these shirts are clever, nicely designed and support a super positive body image! His company not only specials in awesome shirts, but also has some of the best customer service I have ever experienced! 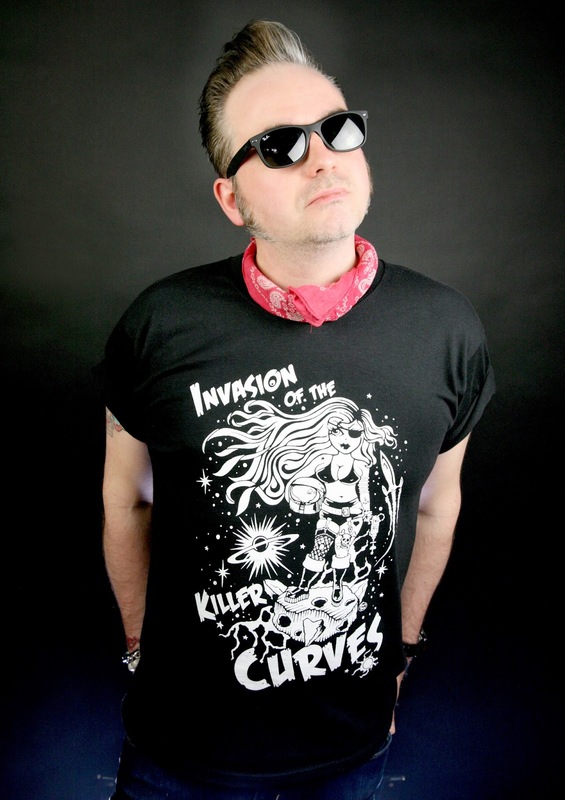 Please stop by his website, Nicky Rockets, and pick up a shirt or four! I've always been obsessed with tee shirts and collect unusual cool designs myself. 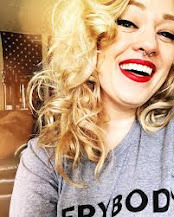 Drawing and design is a passion and I had designed tee shirts for burlesque events I had promoted as well as making stuff for myself. The concept of Nicky Rockets came from hearing my wife Betty say she was sick of never seeing any representations of plus size and curvy women as super heroes, adventurers and even classic pin up tees all featured women with proportions that were nothing like hers. 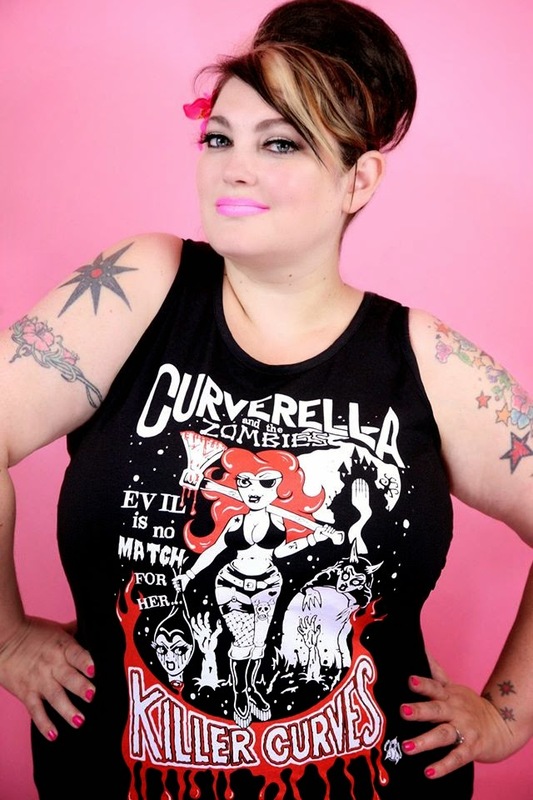 I created the character of Curverella as a gift to Betty and as a plus size blogger she felt they needed to be shared and so the tee shirt brand was born. I'm married to a plus size hottie and am very inspired by curvy sassy representations of women. 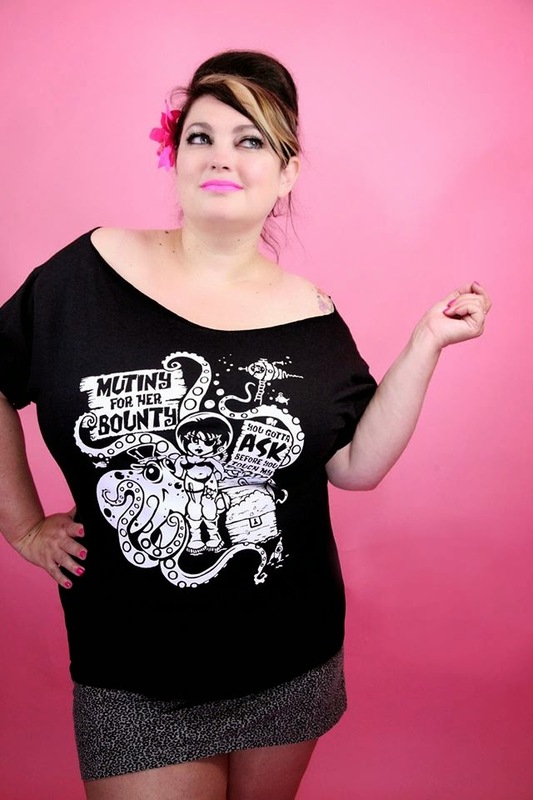 I love the pin up art of the fifties.There is a power and softness in a fuller figured woman and I really like that juxtaposition.Teeshirt wise I love the ethos of Johnny Cupcakes, fashion wise its always interesting to see what Chubby Cartwheels is doing. and I like the eccentric Britishness of Vivienne Westwood and Pam Hogg. 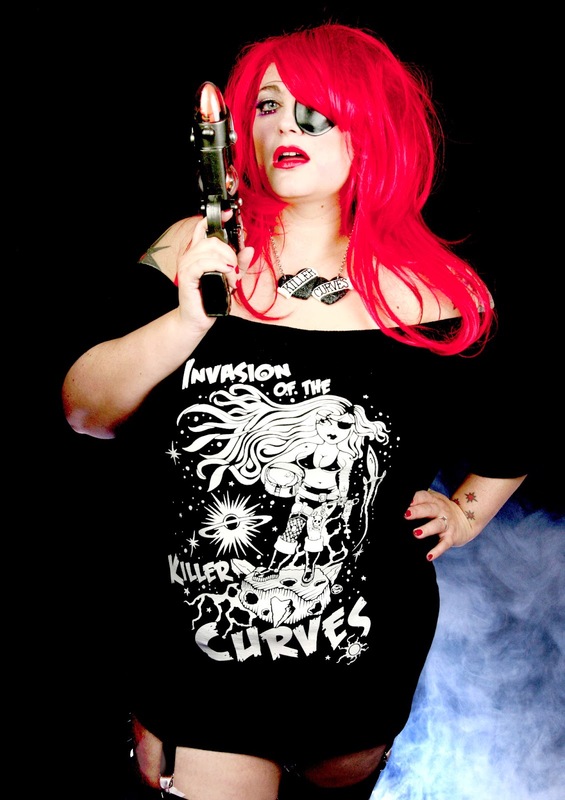 We started in May 2013 so just over a year.The newest design is always my favourite so I currently love "Mutiny for her bounty" but I have a soft spot for Invasion of the killer curves as it was my first design and really got the whole thing rolling. I love http://www.redbubble.com/people/meganlara as Megans Doctor Who tees are just amazing and of coursewww.pamperandcurves.blogspot.com my girl Betty rocks my world. Im doing it now, staying at home with my girls and the pug designing teeshirts. I like to wear a Fez when Im designing.